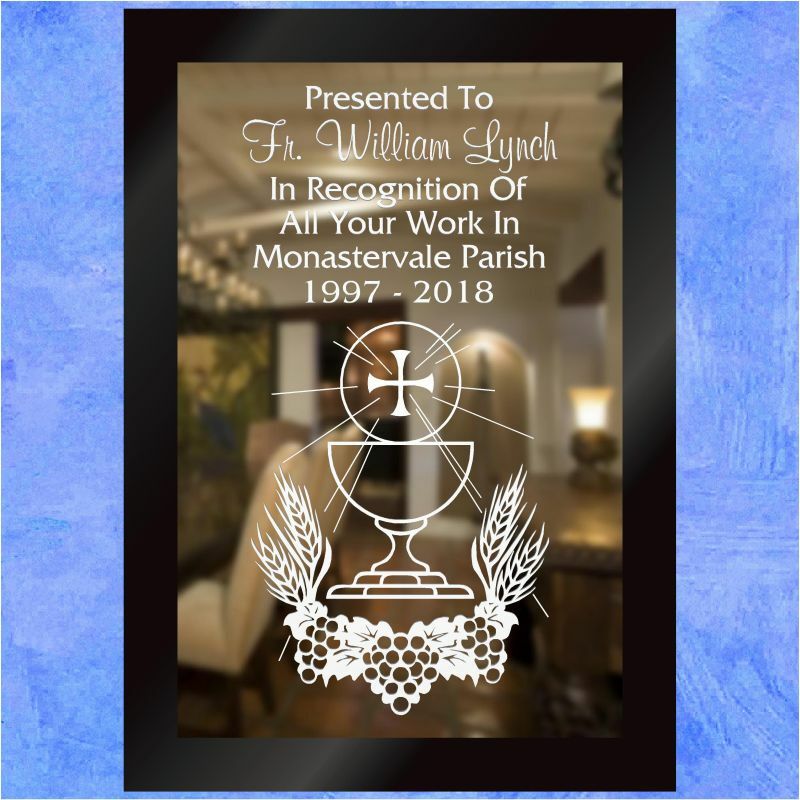 A specially designed gift to mark the retirement of a priest or religious person, customisable with your own choice of verse. Size: 14″x20″. Would you like us to email you the design proof to approve before we dispatch your order? 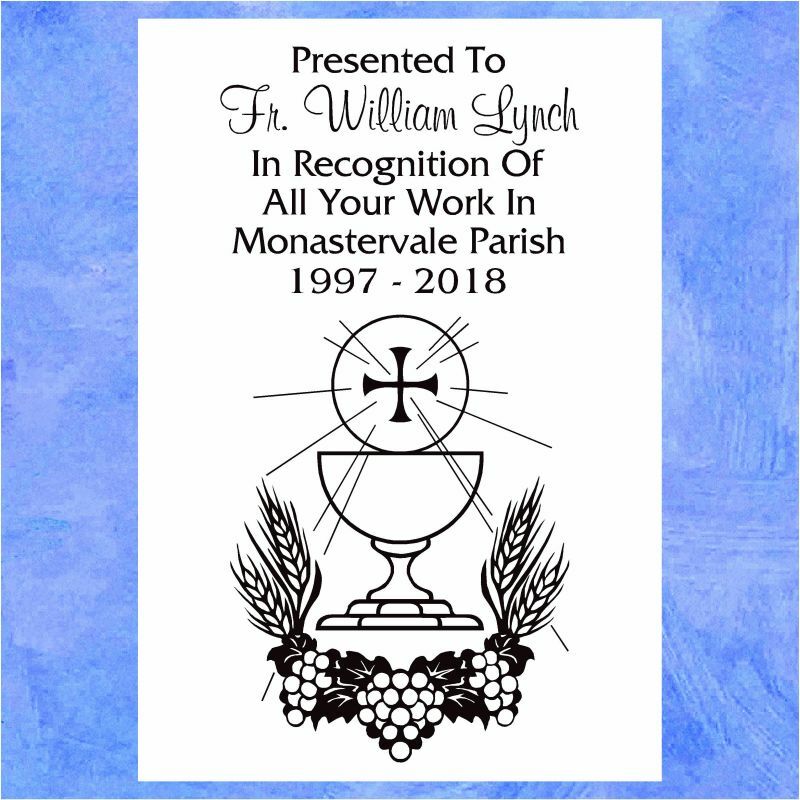 This gift has been designed to mark the retirement of a priest or church volunteer, and is also appropriate when a valued friend is moving to a new parish. 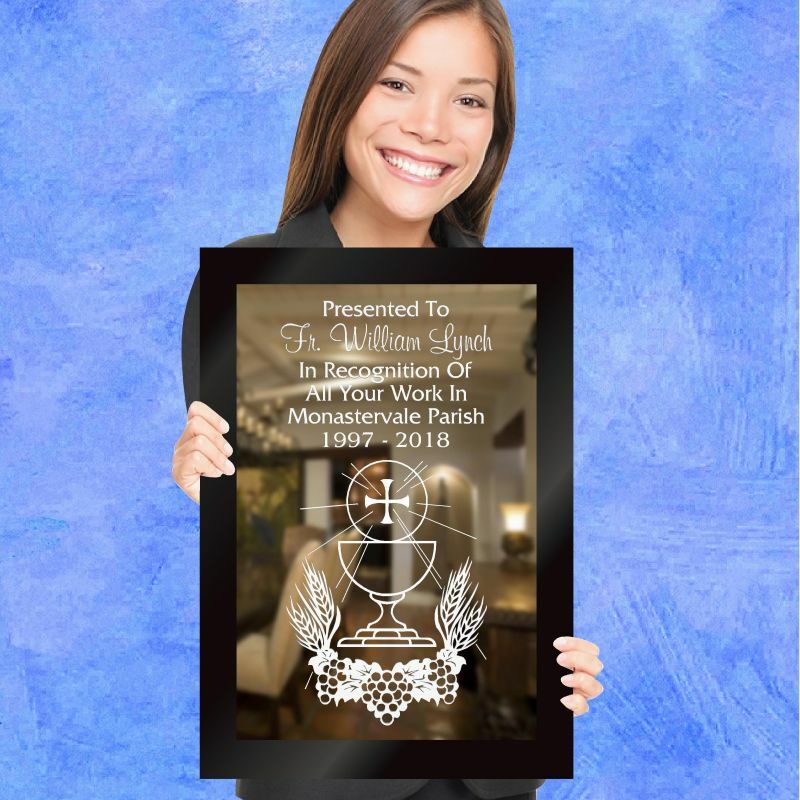 With the Holy Eucharist depicted as the central element of the design, a warm and personalized message has been engraved at the top of the mirror. We have chosen an 'In Recognition' verse for this present, which can be changed to the wording that best describes your occasion. 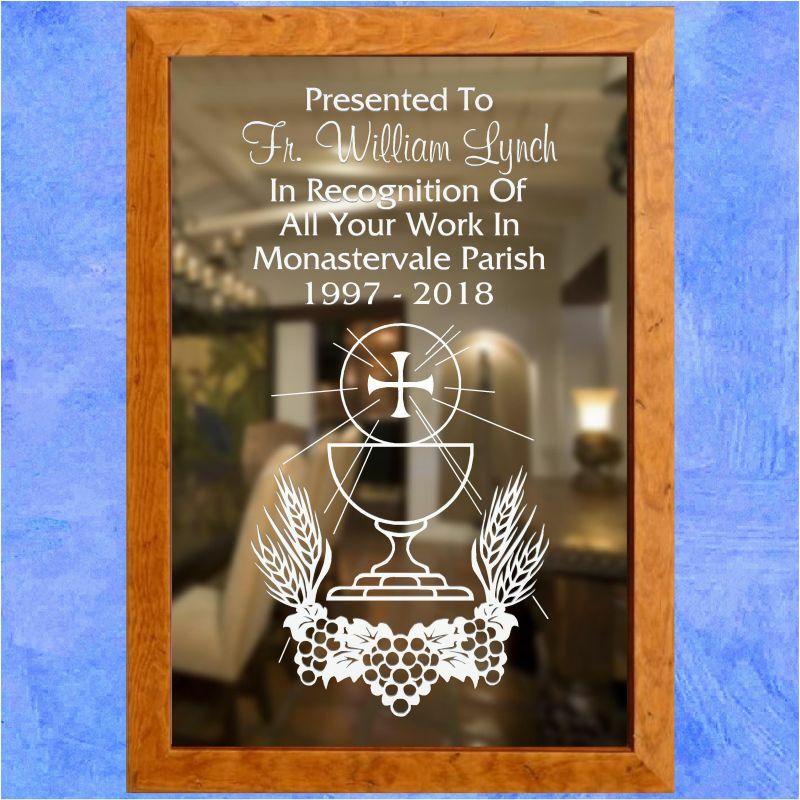 With the dates the recipient served in the parish completing the design, this etched mirror is framed in either our brown or black wooden frame to make an engraved mirror gift that be will proudly presented and gratefully received! 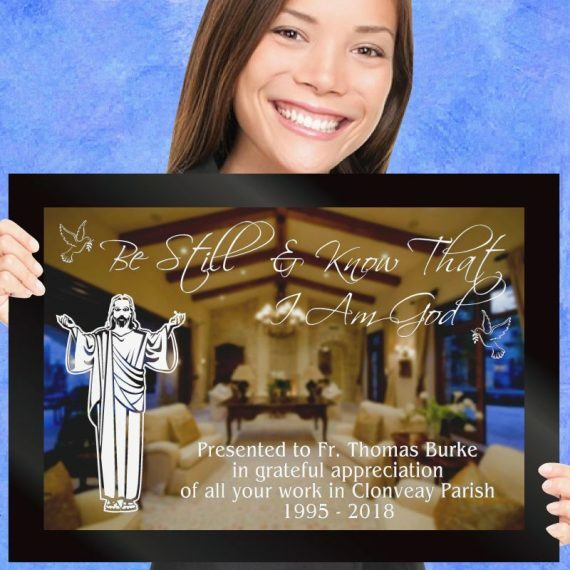 An appropriate retirement gift for a member of the clergy or holy order, complete with instantly recognizable image and biblical passage. Size: 20"x14".